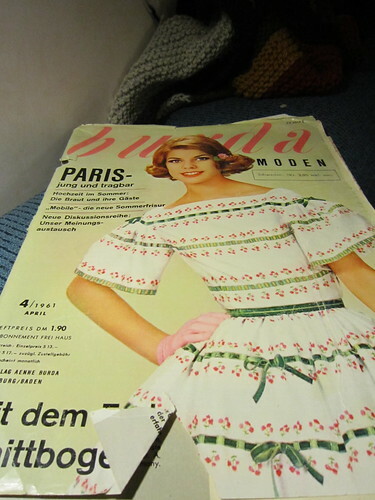 You know I love Burda Magazines, right? Imagine my delight when I discovered a 1961 issue on Swedish ebay! I knew I just had to have it, and to my surprise, nobody else was bidding on it, so I won it! Yay! 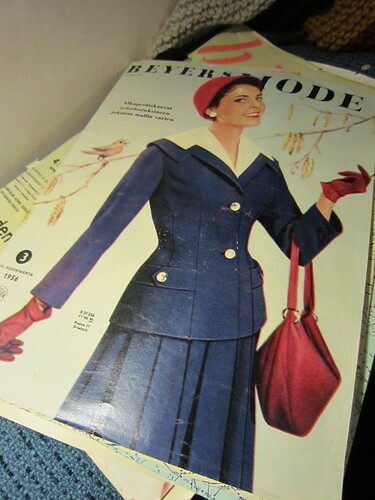 Not only did I win that lovely issue, I won another pattern magazine, a Finnish mag called Beyers, from 1956. Oh the joy! Both magazines are complete with instructions and pattern sheets, and I can only begin to imagine all the wonderful things I can make from these. 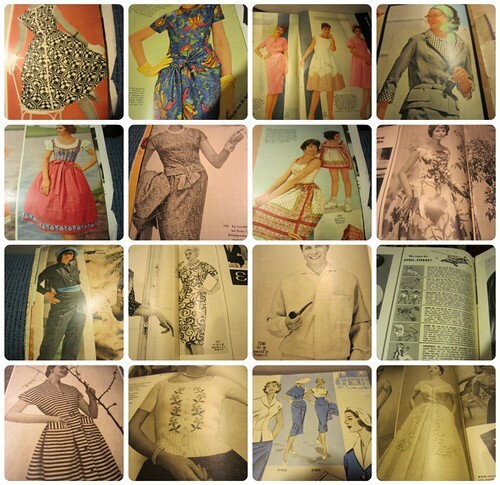 I´ve taken some pictures so you can enjoy some lovely mid-century fashion as well! Oh, and to Sicilians, Scandinavians and others who celebrate it, I hope you had a good St.Lucy celebration today! What a treat! Thank you for sharing so many wonderful pictures. I bet you just keep going back to it and losing yourself in all the loveliness! What a wonderful find and the dresses look stunning.I like the look of the red skirted one on the far left second row down..a bit folk inspired perhaps? which one are you going to make first or are you still too excited to think about that yet? Happy St. Lucia Day! 🙂 Those pattern magazines look cool, I love the cover outfit on the second one and that striped dress is so cute! I can’t wait to see what you make from this! I love the magazines…but I am even more curious about those sweets…can you tell me what they are? 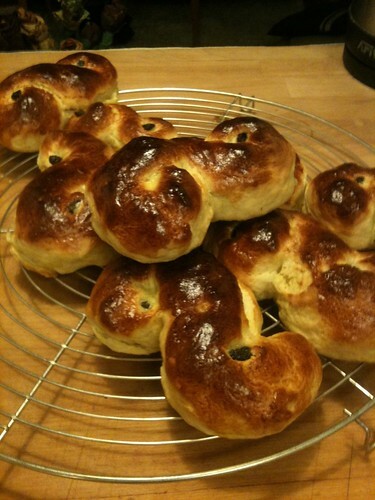 Sorry for replying so late, they are Lussebullar, traditional wheat buns with saffron. Delicious! Those magazines look fantastic! Looking forward to seeing what you make.